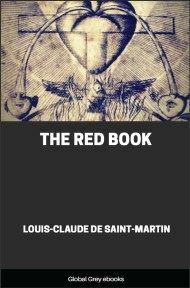 'The Red Book' is a primary text in Martinism, a philosophical movement started in 18th century France by Louis-Claude de Saint-Martin and based on Mystic Christian illuminist philosophy with theurgical integration added for good measure. The core belief of this religion is that mankind should return to its original and divine state. 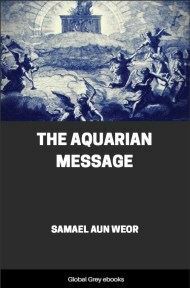 This was to be accomplished both by metaphysical knowledge and by Theurgical abilities, that is to say magical abilities which would put the user in touch with benevolent and divine powers. 1. Science is man’s shame, because it let him feel all he has lost. 2. Speech is the sword of man. 3. All the tears of a man would not suffice to wash him. 4. My life in this body is my penance. 5. I shall pray Thee while I am healthy, so that Thou will not forget me when I shall be sick. 6. Nothing makes the soul indifferent as material prosperity. 7. If you do good, you will gain all the knowledge. 8. Thy Will be done, not mine. 9. It is true that women may be virgins, and that is the torment of the fivefold point. 10. When has a man prayed enough? 11. 3 is to 4 as 7 is to 8. ::8::10::10:1::1:1, etc. 12. 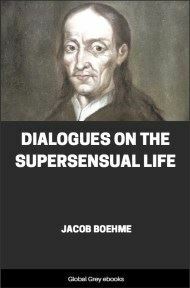 It is much simpler to deny His principle, than to follow it: so many ungodly men just do that. 13. All men are prophets without knowing it. 14. All the human gatherings are useless, because they don't have a president. 15. Trying to catch material things is like chewing nothing. 16. It is because of the two V that we have 5 fingers on each hand. 17. The hope for death is the comfort of my days. 18. Never say: the other life, because there is only one life. 19. Do not complain, o man, that the ways of Wisdom are slow, this is your sentence, and you cannot accomplish anything but with the time. 22. There are only 4 operations in mathematics, from which only three figures may be derived. 23. What are men stupid when they believe to be alive! 24. Among the created things, nothing is born but by its opposite, this is the evidence of the unreal, where every thing is a copy. 25. He doesn’t want to be known, so we should let Him alone; this is the safest way, and what pleases Him the most. 26. Begin the study of your lesson by the Moon. 27. If reproduction was only a process, all forms in each species would be the same. 29. The minor tone doesn’t exist in nature: it is the result of five, a human invention. 30. Purification is accomplished by getting closer to our being. 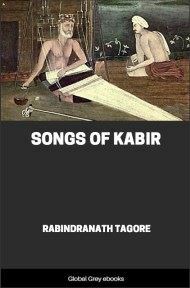 Those who feel nothing cannot make reparation for any thing; they can only further stain themselves. 33. We are all widowers, our task is to get married again. 34. The sevenfold is a state of tension, rest is achieved only in the number 8. 37. The father has three children, and that demonstrates the superiority of one above three. 38. There is nothing worse than a bad prayer. 39. Death is action, who can it give the idea of nothingness? 40. What is, is further from us than what is not. 43. A man should watch the desires of his soul, because they are powerful and their strength may allow him to acquire. 44. Men use the real to worship the unreal, but the unreal was given to them to worship the real. 44. Men use the real to worship the unreal, but the unreal was given to them to worship truth. 45. One must be virtuous to love, and must love to pray. 46. We should not search for him, we should wait for him in peace, in obedience, and with confidence. 47. 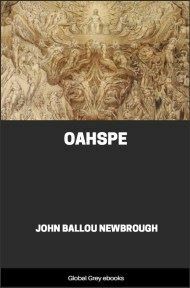 He that always follows the games of his spirit, claims in vain to be happy. 49. The intellect is the telescope of the spirit. 51. The Scriptures will never be justified by the letter. 52. 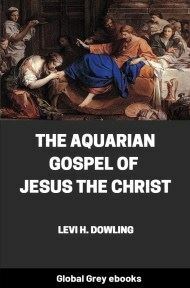 The square is only the emblem of the children of the father, it derives all its properties only from them. 53. Try, in all the circumstances of your life, to be greater than what you are doing.